because turning dreams into reality is easier on a sunny day. I’ve said it before and I’ll say it again, I loathe winter. There is nothing pleasant about snow, cold, ice, or my attitude during those silly months. When summer days roll around, one would think I’ve never seen the sun. I can barely contain my excitement when temps are above 70 degrees. 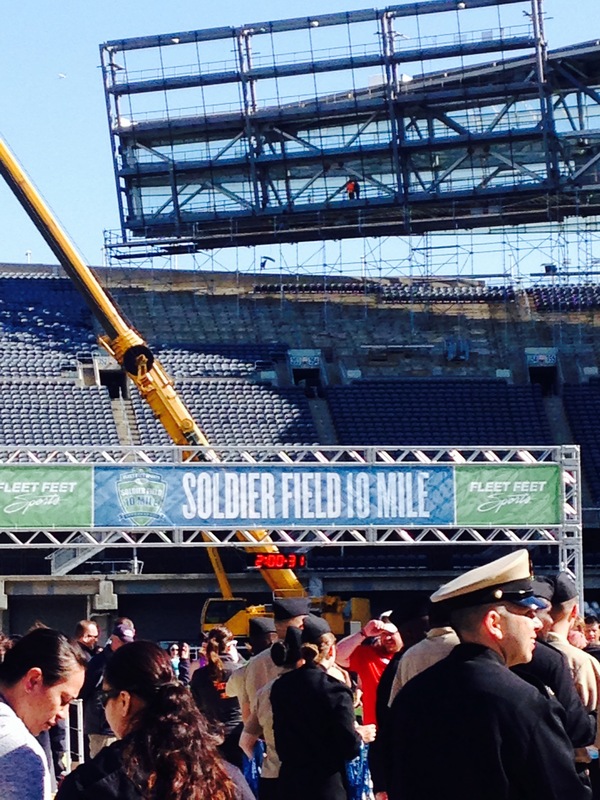 The Soldier Field 10-miler just happened to be on one of the first glorious days of summer. I’d never done the race, but I signed up thanks to the recommendation of friends. I was planning to run 10 miles for my half Ironman training this weekend, so it was perfect timing. 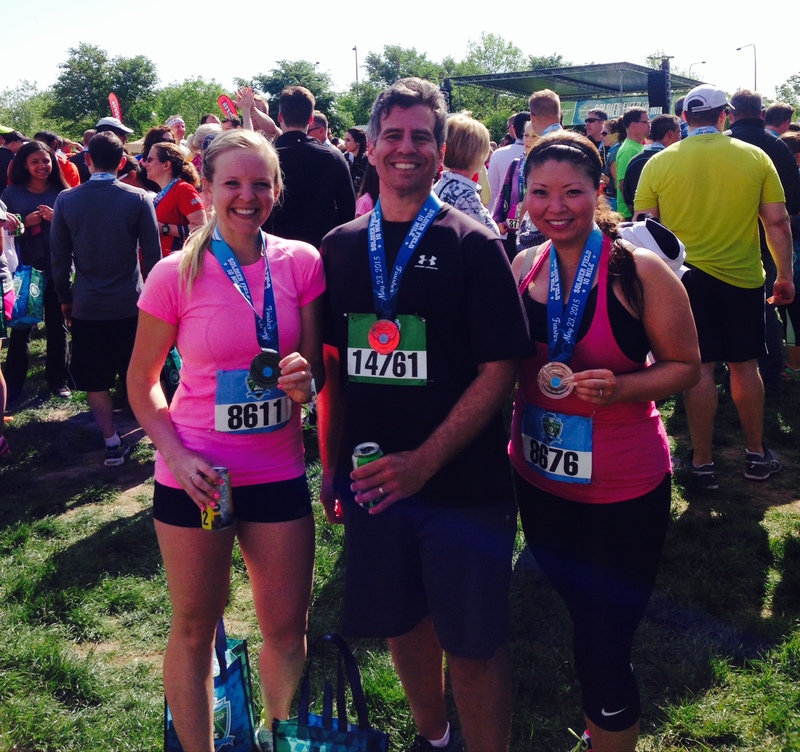 It’s always more fun to run with friends (and have a beer waiting for you at the end). Umm…Everything? Seriously, this was a great race. Parking was free and close to the race start. I exited the parking garage and there was my corral! Magic. There was a nice tribute prior to race start honoring the fallen men and women that have served our country. We were in Corral 8, but we only waited about 15 mins before go time. For the numbers of runners, I was impressed by the short wait time. For the first 4.5 miles, we headed south on Lakeshore Drive. There’s something cool about running on this always-busy highway. Heading to the finish line on Soldier Field felt awesome. I was smiling from ear to ear when I ran under the tunnel and onto the field. Military personal were giving out the medals after the race. Many finishers were shaking their hands and thanking them for their service. It was moving, and one of the best race finishes of my life. Post race beverage was 312. ‘Nuff said. The finish line! Geesh I am really a sad photographer. But you get the point. It’s ON Soldier Field, and that is neat. Two of my favorite people! Only a few more weeks until summer marathon training begins. Looking forward to spending every Saturday morning with them! 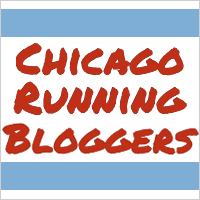 As we were heading south on Lakeshore Drive, I noticed a few runners heading north on the Lakefront path. I told my friends that it didn’t look too congested…then I realized those speedsters were the elite pack. Ahh, someday. Maybe. Probably not. For the other 99% of the runners, the path was tight. 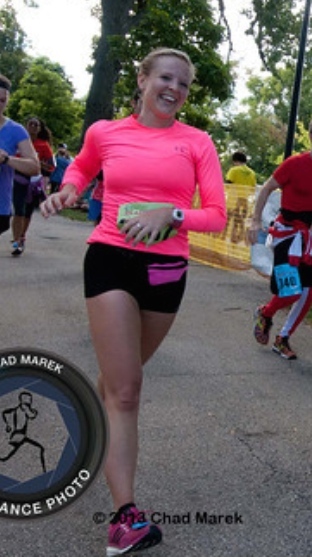 I was dodging people the final 4 miles. One path and 10,000+ people. Yeah. Tight squeeze. I realize it would be difficult to keep LSD closed for the whole race, but I would love to see an alternative, more spacious route in future years. The Ugly – Nothing at all! Overall, I was impressed with this race and will certainly run it again. My average pace per mile was 10:16. Not my fastest race ever, but I finished strong and felt great.